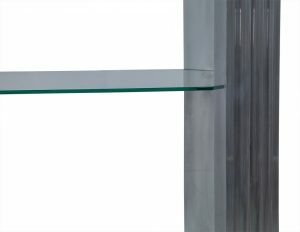 This étagère is a real statement maker. 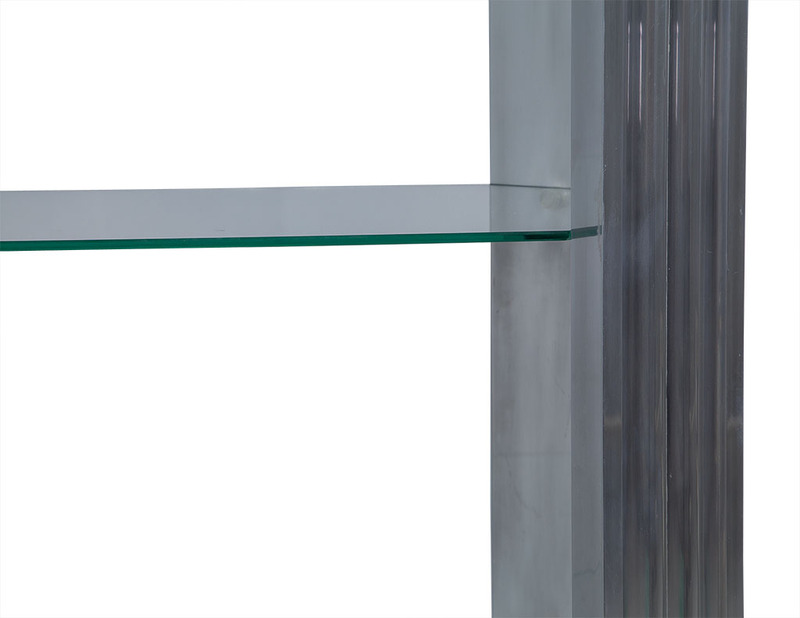 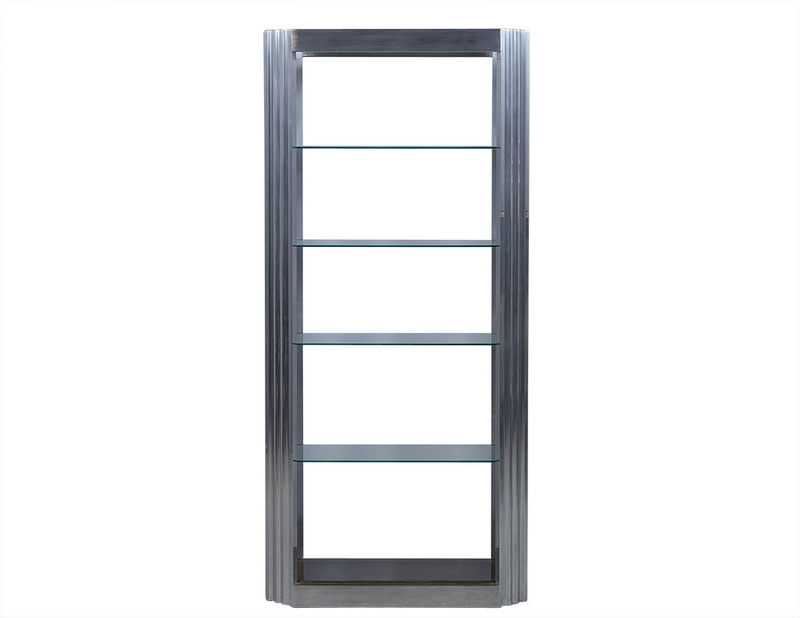 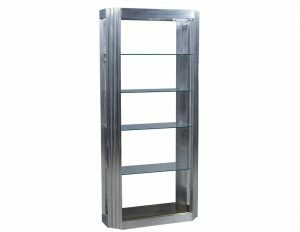 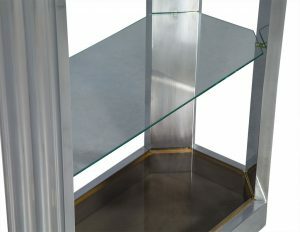 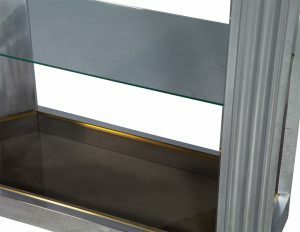 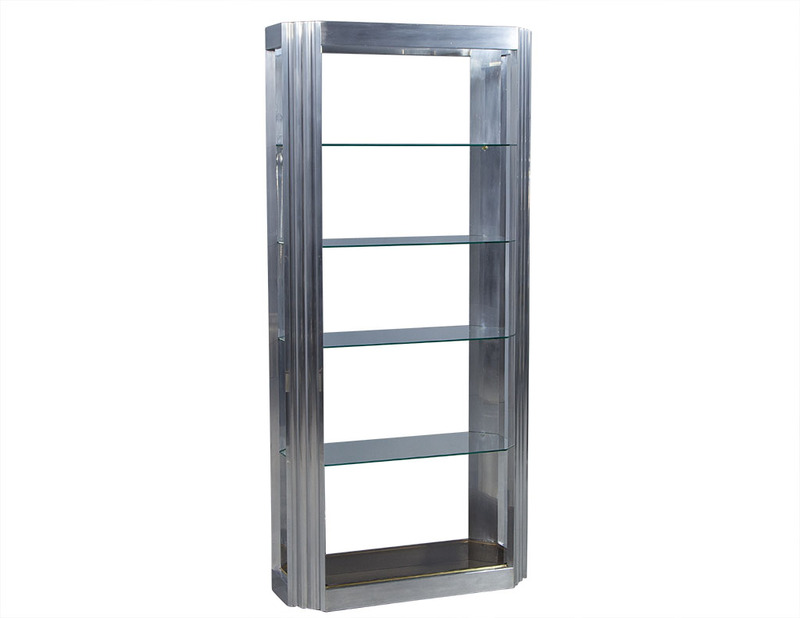 The five bronze glass shelves are supported by a fluted chrome frame with sharp, brass detailing. The chamfered corners are angled back to create an octagonal appeal, which is a perfect embodiment of Hollywood Regency style. 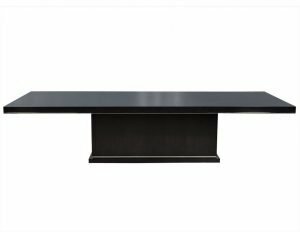 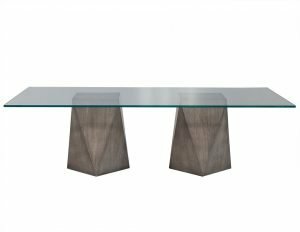 A great piece for a luxurious living space. 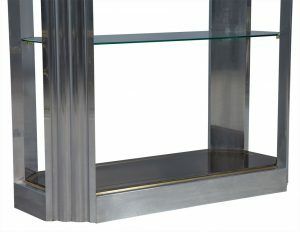 Good, metal has some wear - brand new glass shelves.